Palavras-chave:: Jesus, Mithraism, Gospels, Yeshua bar Panthera, Christianity. 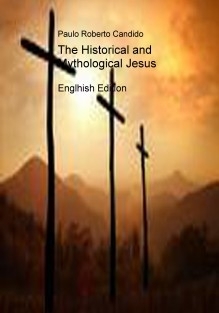 In this book the author presents the Jesus myth, namely, what is described in the Gospels and other books of the New Testament, comparing it with the historical Jesus and claiming that the mythology may have been built from a fusion of ancient gods with a Jew of the first century, Yeshu ben Panthera, which may have been the son of a Roman officer. Also argues that the New Testament should be seen more as a philosophy and less like a religious text. Who was the Historical Jesus A divine being or a Jewish prophet who was executed for having been convicted of witchcraft Had Jesus been the son of Panthera, a Roman officer Learn more about this story through this book.